Below is the foreword, written by Bishop Thomas Olmsted, to Day by Day with St. Faustina: 365 Reflections, by Susan Tassone – affectionately known as "the purgatory lady." 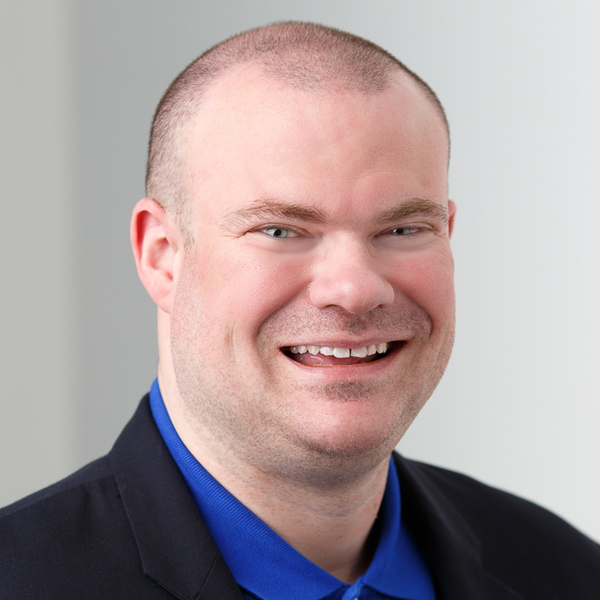 Thanks to Sophia Institute Press for allowing me to publish this excerpt in my column. Click here to order a copy of the book from SpiritDaily.com. As we walk through life in this "valley of tears," we are often beset by trials of various kinds. We experience temptations, the misery of our weaknesses and sinfulness, conflicts with others, misunderstandings, and more. It can be encouraging for us to know that many saints experienced similar struggles, and we can learn much from them about how to navigate the stormy waters of life in this world. The secret for St. Faustina was constant prayer. We learn from her Diary that she brought everything to the Lord in prayer, then listened to Him and received all that He wanted to tell her. In this way, St. Faustina was led day by day and even moment by moment into a deeper relationship with Jesus Christ, the source of her happiness. She teaches us to do the same. We often think that our weaknesses and sinfulness make us unworthy of such intimacy with God, but it is just the opposite. Jesus tells us through St. Faustina that "one thing alone is necessary: that the sinner set ajar the door of his heart, be it ever so little, to let in a ray of God's merciful grace, and then God will do the rest" (Diary, 1507). When St. Faustina opened the door of her heart, she was often drawn into the "abyss" of God's mercy. She found great delight in hiding herself in the Lord's "Most Merciful Heart" (Diary, 1395). There, she found herself to be "immersed in God" (Diary, 495), and this immersion in Him brought her great inner peace, even amid the many sufferings she endured. This deep communion with the Lord that St. Faustina experienced was not automatic, nor was it easy. Again, it was a result of her dedication to prayer, in which she engaged in a constant conversation with Jesus. As she put it, "Every morning during meditation, I prepare myself for the whole day's struggle" (Diary, 91). What struggles did she face? She faced debilitating illnesses, the hardships of community life, the monotony of the daily routine, and often being misunderstood by her superiors and fellow sisters in the convent. The Lord would frequently remind her of the need to be united to Him in His suffering. Through prayer, she came to realize that "suffering is a great grace; through suffering the soul becomes like the Savior; in suffering love becomes crystallized; the greater the suffering, the purer the love" (Diary, 57). It wasn't just suffering for suffering's sake but, rather, suffering in union with Jesus that brought St. Faustina true joy. As her union with Jesus deepened, the life of virtue flourished within her. She was able to love all those whom God placed before her, even the most difficult. Embracing the cross and surrendering to God's will in all things led the saint to say, "I have discovered a fountain of happiness in my soul, and it is God" (Diary, 887). The Lord is offering each of us a deep, intimate relationship with Him. The key is to set aside some time each day for prayer, cultivating the silence and solitude necessary for us to be alone with the Lord and to listen to Him. 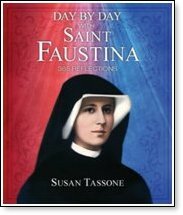 Susan Tassone's Day by Day with Saint Faustina can be a genuine aid to our daily prayer. Every time we pick up this little treasure of a book, we will find the deep wisdom of St. Faustina's Diary presented in bite-size pieces, one nugget of wisdom at a time. In her daily reflections, Susan fleshes out the teaching on Divine Mercy in contemporary language, with very helpful images and analogies. Spending time with the Lord in this way will help us all to taste the joy that St. Faustina experienced as she was "drawn into the bosom of the Most Holy Trinity . . . immersed in the love of the Father, the Son and the Holy Spirit" (Diary, 1670). Click here to read a recent interview with Susan Tassone at CatholicExchange.com.